Mardi Himal Trek- 11 days is a moderate trek. Travelers who can walk up to 6-7 hours a day on an uphill and downhill trail will find this trek fulfilling. It is best that we prepare ourselves for the Annapurna trek by jogging and exercising regularly at least a month prior to the start of the trek. Trekking to the Everest Base Camp should be relatively easier for those who have experience walking/trekking in a high altitude environment. Past hiking experience would be an asset but no technical skill is required for this trip. It is also important that we consult our doctor. Participants with pre-existing medical conditions such as heart, lung, and blood diseases should inform Discovery Mountai Trek before booking the trek. 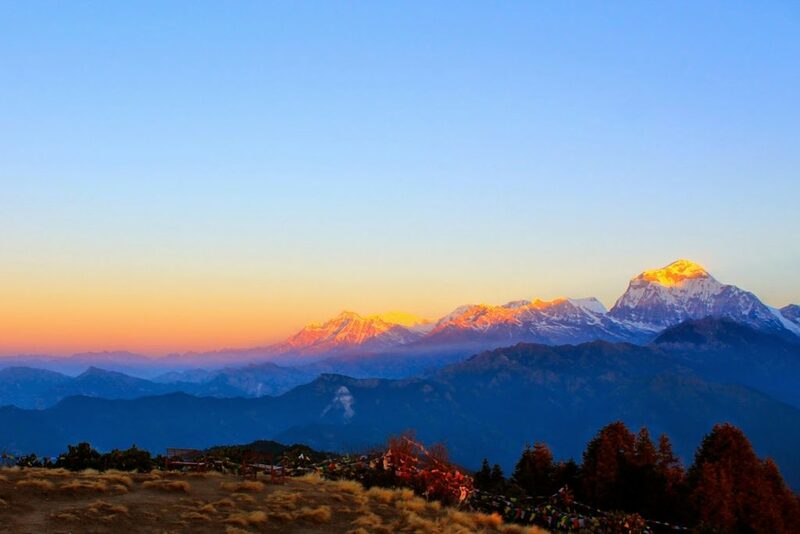 The best time to trek to the Mardi Himal Trek is Spring (February to May) and Autumn (September to November). The temperature is moderate in these seasons and guarantees amazing views through the trip. Although this trek can be undertaken during winter, the cold temperature might not be suitable for everyone. 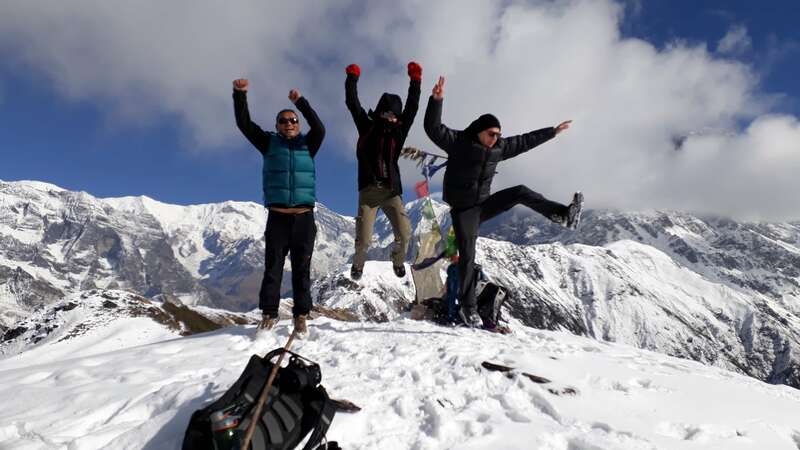 The Mardi Himal Trek is an ideal choice for those of us who are looking for an ‘off the beaten path’ trekking experience in the quieter parts of the Annapurna region of Nepal. 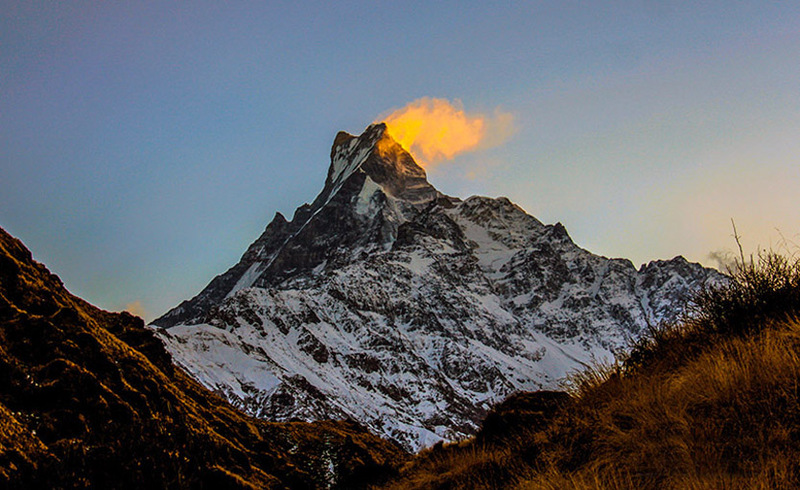 It is the lowest and perhaps the least visited of the trekking peaks in Nepal. 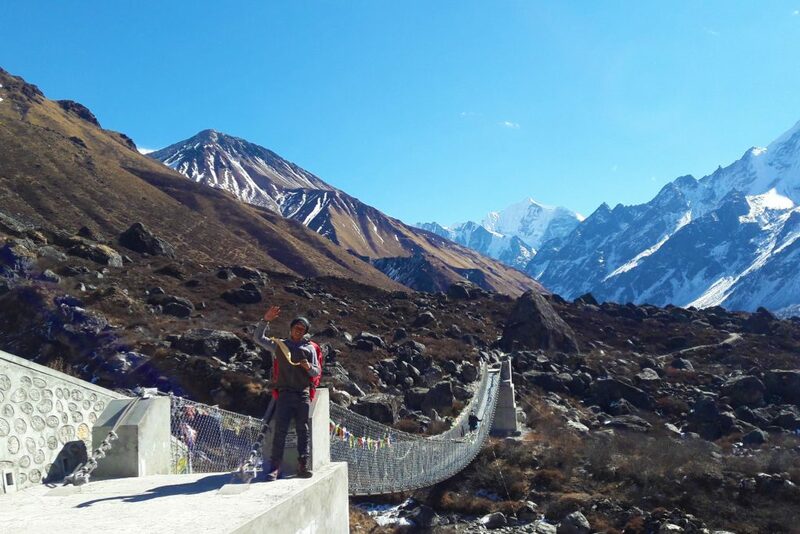 While trekking on this route, leading up to Mardi Himal base camp and finally the high camp, we get to appreciate the solitary trails complete with verdant forests, interesting villages, valleys, terraced farms, dazzling rivers and the extraordinary views of the Annapurna, Machhapuchre (Fishtail) and Hiunchuli mountains. Another benefit about this trekking route is that the trail makes a small circuit up to the base camp of Mardi Himal so that we don’t have to backtrack over the same terrain. 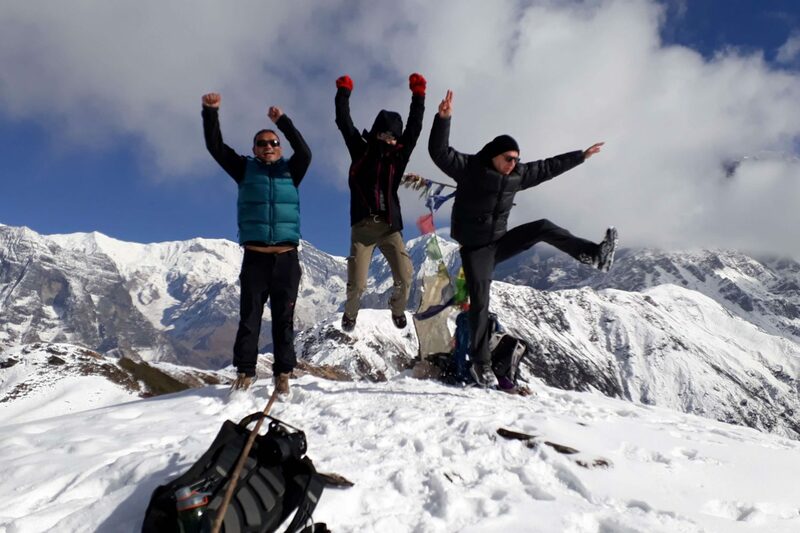 In conclusion, Mardi Himal trek is a short trek in the Annapurna region of Nepal where we stay in teahouses (lodges), try local food, appreciate the excellent hill and mountain landscape; and marvel at the panoramic views of the massive Himalayan mountains including Annapurna, Machhapuchre, Hiunchuli and Mardi Himal. After arriving in Kathmandu, Discovery Mountain Trek will pick up you from the airport and take you to your hotel. In the evening, there will be a welcome dinner hosted by Discovery Mountain Trek. For dinner, you will be served authentic Nepalese cuisine which will introduce you to the country’s food culture. 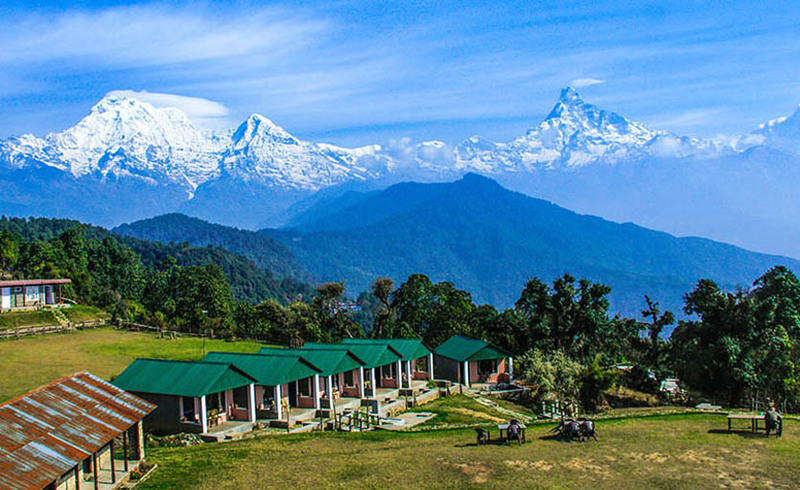 We can enjoy the beautifully terraced farms, little shops by the side of the road and the raging Trishuli River on our drive to Pokhara also referred to as the ‘City of Lakes.’ From the city, we get great views of the Himalayas including Dhaulagiri, Manaslu, Machhapuchhre, the five peaks of Annapurna. We continue drive to kande and start trek to Australian camp. From Pothana you walk up to a place called Pitam Deurali where you will turn off the main Annapurna Sanctuary trek and continue along a quiet trail through a dense forest of oak, maple, hemlock and rhododendron. Tonight we stay at one of the lodges in a clearing of the forest at Forest Camp or also known by the locals as Kokar. The lodges at Kokar are quite basic and there is no dining room so you will probably have meals in kitchen with the owner, so in some ways this is more like a homestay and is a good opportunity to get to know this friendly family from Siding village. We continue to walk through dense forests admiring Nepal’s rich biodiversity and reach the low camp. From here, the fantastic view of Mt. Machapuchhre (Mt. Fishtail) up the valley is mesmerizing. We can spend some time in the evening observing the local lifestyle. We trek uphill alongside a ridge towards Mardi Himal and Macchhapuchhre. The tree lines start getting thinner and the area mostly consists of shrubs with isolated rhododendron bushes along the trail. If lucky, we might even come across the Daphne pheasant (national bird of Nepal) on our way to high camp. We ascend up to the high camp, which the final destination of the day. From here the mountain views are stunning. On our trek to the upper viewpoint we ascend and descend, and sometimes on a steep and narrow trail. Our trail passes through pastures and we hike along a narrow ridge before reaching the Upper Viewpoint. The view of the Himalayan vista from here is astonishing. We see Mardi Himal (5587m), Annapurna I (8091m), Annapurna south (7219m), Hiunchuli (6441m), Baraha Shikhar (Mt. Fang) (7647m), Tent Peak (5695m), Singhachuli (6501m), Machapuchhre (6993m) and others. We trek back to the high camp. We take a different route in high camp that takes us to Sidhing instead of going back down to Mardi Himal. The different route lets us experience something different and makes our trek exciting. Siddhing offers a quiet stay for trekkers as it is tucked away from the busier trails. After breakfast we trek to lumre and we drive to Pokhara, the beautiful lake city. Even from the city we are rewarded with magnificent views of the Himalayas including Dhaulagiri (8,167m), Manaslu (8,156m), Machhapuchhre (6,993m), the five peaks of Annapurna and others. We check-in to our hotel and take a rest. We may also stroll in the streets of Pokhara and just enjoy being in one of the most beautiful cities of Nepal. After breakfast, you say goodbye to the beautiful lake city of Pokhara and drive towards Kathmandu. After reaching Kathmandu you have the rest and free day. Today after breakfast we will start visit you to several of the most historical and spiritual attractions in Kathmandu which are also listed as UNESCO World Heritage sites. you visit the historic Durbar Square, the sacred Hindu temple of Pashupatinath, the famous ‘Monkey Temple’ (Swayambhunath) and Buddhist shrine (Bouddhanath), which is also one of the largest stupas in the world. At noon, we get our equipment checked by our climbing leader. Your adventure in Nepal comes to an end today! Discovery Mountain Trek will take you to airport approximately 3 hours before our scheduled flight to on your way home. Fantastic views from view point, from where you can feel you are on the lap of mountain. Thanks to Discovery Mountain Trek & Expedition for our trip smoothly organized.